Participants at World Economic Forum annual meeting in Davos, Switzerland had the experience of travelling by road between Zurich International Airport and Davos in an environmentally sustainable way. Participants at World Economic Forum annual meeting in Davos, Switzerland had the experience of travelling by road between Zurich International Airport and Davos in an environmentally sustainable way. 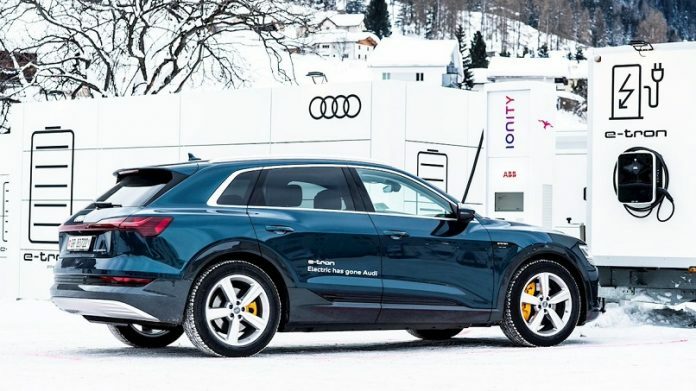 Fifty Audi e-tron sedans were charged in a matter of minutes at a total of 31 fast-charging stations provided by the global market leader ABB in Kemptthal, Heidiland, Küblis and Davos. The charging infrastructure is operated by IONITY, a joint venture between automotive manufacturers. The three partners are using the project to underscore the crucial importance of e-mobility for the advancement of sustainable transport. ABB has installed with over 8,500 fast charging stations in 70 countries around the world. “The company offers the most powerful charging station available today. It can supply enough energy to achieve a range of 100 km in just four minutes,” a statement issued by ABB said.